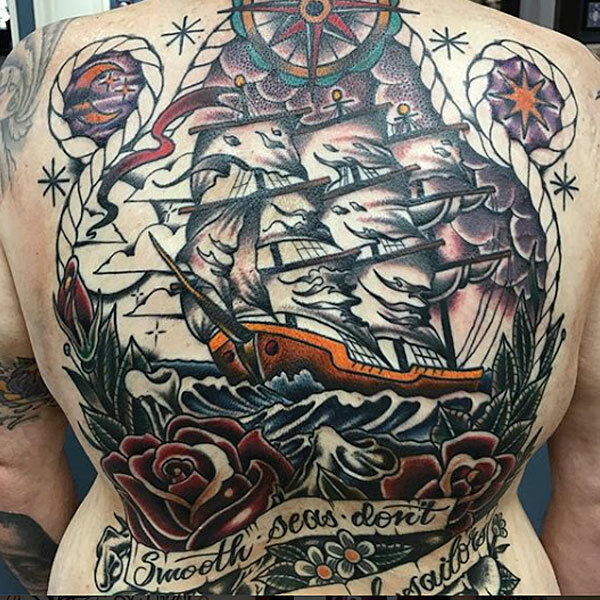 Proficient Styles — I prefer to tattoo in a semi-naturalist illustrative style that's equal parts traditional and "new skool”; in color, or black and gray. How did you become an artist — I’ve always drawn. I don’t ever remember not drawing as a kid. My dad was a talented draftsman, but I was born when he was young, so instead of art, he went to work. In high school I fell into friendships with the freaky kids — all my heroes were rockstars. All of them were heavily tattooed. I graduated high school in 2003, shortly after that started hanging around a tattoo shop in Debary, Florida after a friend of mine had managed to get a job there as a piercer. After coming up and hanging out a few times they had figured out I was sort’ve sniffing around for an apprenticeship. In a short while, they offered to teach me. 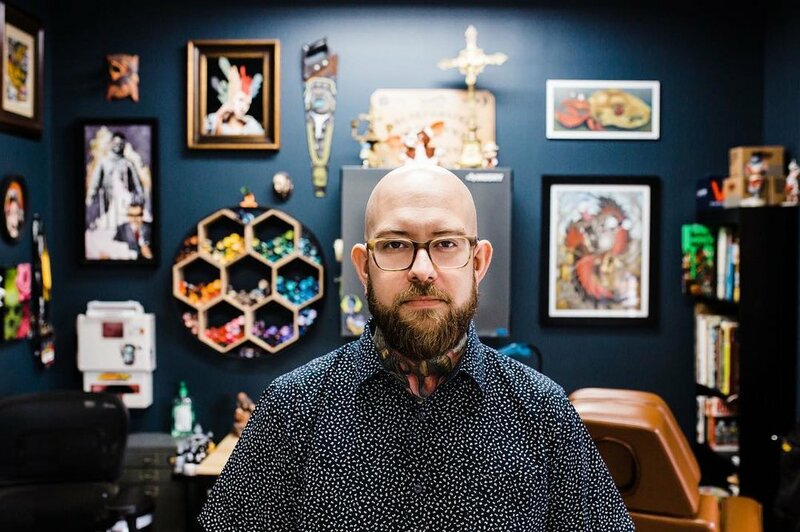 After a brief apprenticeship and a bunch of kanji tattoos on sunburned Floridians I eventually moved onto Trinity Tattoo in Longwood, where I met my business partner Earl Funk. I worked at Trinity for a few years, then moved on to Rise Above Tattoo, where I worked before opening The East. All the shops, guest chairs and conventions have to lead to the creation of this place — a destination that I can not only surround myself with hand-picked professionals but feel like my creativity can flourish. The East is finally my home.